We Have An Exclusive Discount For Blume And I'm So Excited To Get My Period?! You lucky readers get 15% off with our ~exclusive code~ 💃!!!! Friends! Foes! Everyone in between! Do we have some good news for YOU. You can now get 15% off at Blume with our ~exclusive code~ BUZZFEED15! 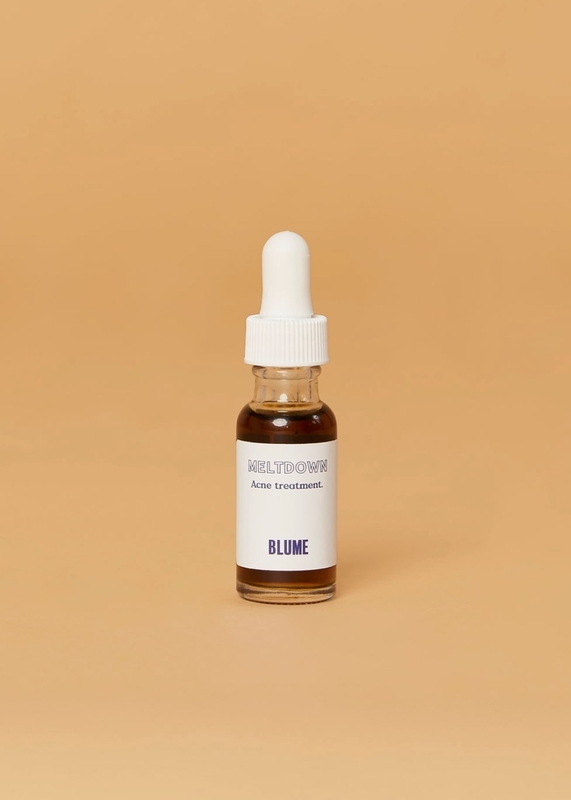 In case you don't know, Blume is THE hotspot for all things self-care when it comes to periods and skincare. Your uterus will be hitting *add to cart* before your fingers even know what's happening. You have two options: you can build a custom box that'll deliver a monthly supply of organic tampons, pads, and more right to your door, OR buy their amazing products individually! It's a win, win. Building your box is a FANTASTIC deal — with our BUZZFEED15 code, you'll get a monthly supply of high-quality tampons and pads for only $9.35+ per month (originally $11/month)!!!! First, you simply pick which product you prefer to use: tampons or pads — or maybe you like to use both! I usually go with the ~flow~ and use either so I went with tampons *and* pads. Next! You'll pick your ~base~ aka which style/thickness you prefer. Because I picked both tamps and pads, my choice was between super tampons and overnight pads, or just good 'ol regular. I like to play things SUPER safe so I went straight for the former. Nothing like waking up in the morning and realizing your favorite PJ's are a goner. Love ya, uterus. You'll get a total of 16 tampons/pads! THEN! You can add some extras, because you and I both know you'll need them. This is not a game people, do not leave yourself open to public restroom tampons!!! I threw in some liners, because tbh I'm tired of adding more and more underwear to the....~period collection~. You know what I'm talking about. This is also a great time to add super plus tampons if it annoys you every time you HAVE to buy a variety pack at the drugstore. I DO NOT NEED LIGHT TAMPONS, OK MY UTERUS IS NOT PLAYING AROUND. Last chance to *boost* your box! You can treat yourself to a much-deserved self-care bundle, enjoy a surprise dessert (usually 🍫), or soothe cramps with an essential oil blend and tea. All wise choices, but I picked the "PMS Bundle" to put an end to trying to sleep in the downward dog position. I'm already...well-stocked on chocolate. — Self-Care Bundle: This includes their natural deodorant, creamy face cleanser, and blemish-treating serum. Aka you'll smell dreamy and look GLOWING no matter where you are in your pack. — Treat Yourself: You'll receive a *surprise* dessert — usually chocolate but sometimes something unique! Win, win. — PMS Bundle: They'll send you their essential oil blend that targets cramps, and a soothing tea to relieve discomfort. I'm already saying "ahhhh". That's it! Your custom box will be all set, for only $9.35+ per month (originally $11/month) ✨. Want to buy their products individually? GOOD NEWS: you can! 1. An essential oil roll, because this'll help you stop, drop, and *roll* the next time you're overwhelmed by cramps. Its natural blend of jojoba, peppermint, and vitamin E work together to soothe bloating and cramping, and can even ease headaches! Feel free to still stay in bed all day with a tub of ice cream. You deserve it. 2. A gentle face wash that'll basically take care of everything before you can work yourself into a lather over breakouts. Its formula of moor and soothing plant extracts (i.e. jojoba, chamomile, lavender, and geranium) moisturizes, deep-cleanses, and helps to reduce redness and acne. Not all heroes wear capes, indeed. It's gentle enough to work every day, both day and night! Promising review: "I love this cleanser! It’s super creamy, yet really light! It leaves you feeling clean and refreshed without drying out your skin." —Stephanie G.
3. A set of organic tampons so you actually know what you're putting in your body (no pun intended). They're made of 100% organic cotton with a soft outer layer and an absorbent and ~leak-proof~ inner layer. Aka ZERO accidents are happening on their watch. They're available in both super and regular! Plus, you can choose between plastic or cardboard applicators. 4. 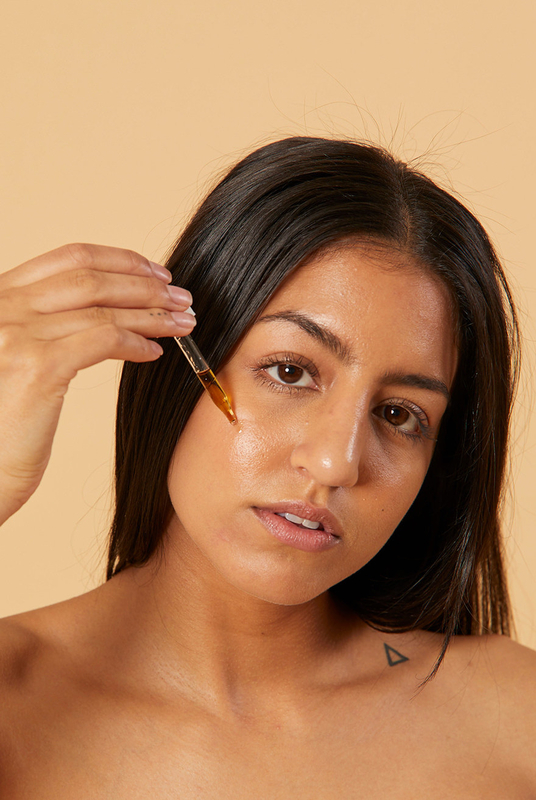 An acne spot treatment for zapping pesky breakouts the minute they arrive. Its powerful blend of black cumin seed, blue tansy, and tea tree leaf oils go straight to the source to reduce inflammation and prevent scarring. I suppose you could say this really will ~drop~ the mic. You can also apply this on spots you *feel* coming (oh, the DREAD) to stop it before it can even show its face. Promising review: "I have struggled with acne since being on fertility medicine for four years now. Blume has helped eliminate the redness and clear up my blemishes." —Brittyn E.
5. A pack of organic pads, because these are SO much more comfortable than the glorified diapers our moms used to give us. Not only are they breathable, comfortable, and absorbent, but they'll actually mold to the shape of *your* body so you can still wear whatever the heck you want. No more designated thick period pants. Plus! They have both day and overnight pads, because we all know those are VERY different situations. They have wings to keep everything ~secure~ and are even wrapped in biodegradable purse packs! 6. A natural deodorant that'll FINALLY allow you to go ~au natural~ without worrying about reapplying every three seconds. Its secret weapon, probiotics, keeps you nice and fresh for a full 24 hours. Aka this is the ePITome of organic deodorants. Promising review: "I have been using natural deodorants for the last couple years, but have struggled to find one that lasts all day. WELL THIS IS IT. This product is better than I expected and lives up to the hype. I recommend this product to everyone!" —Elena R.
That's it, folks! Tl;dr: everything is 15% off when you use BUZZFEED15 at checkout! Build a monthly custom box for cheap or shop individually!